Skyscrapers emerged after elevators and steel skeletons to bear weight were invented. Skyscrapers was Americas greatest contribution to architecture and solved the issue of how best use limited and expensive space. The skyscraper is symbolic of prosperity and opportunity. El-trains was a system of public transportation. Orville and Wilbur experimented with engines and aircrafts. 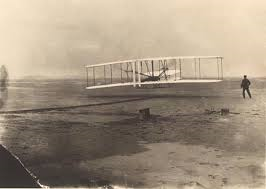 They built a plane and on December 17,1903, they flew it for 12 seconds over 120 feet. Two years later they were making 30 minute flights and by 1920, the U.S. was using airmail flights regularly. Subways was built because a few large cities moved their streetcars above street level, creating elevated or El-trains. 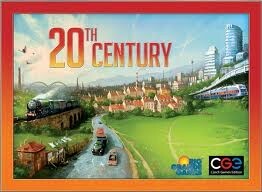 And the other cities moved their rail lines underground to build subways. Urban planners sought to include landscaped areas and parks. Fredrick Law Olmsted was instrumental in drawing up plans for Central park, NYC. Chicago lakefronts, today features parks. In 1896, a legal case reached the U.S. supreme court to test the constitutionality of segregation. In Plessy v. Ferguson the supreme court ruled that the segregation of races was legal and did not violate the 14th Amendment. This image shows people boarding an el training. 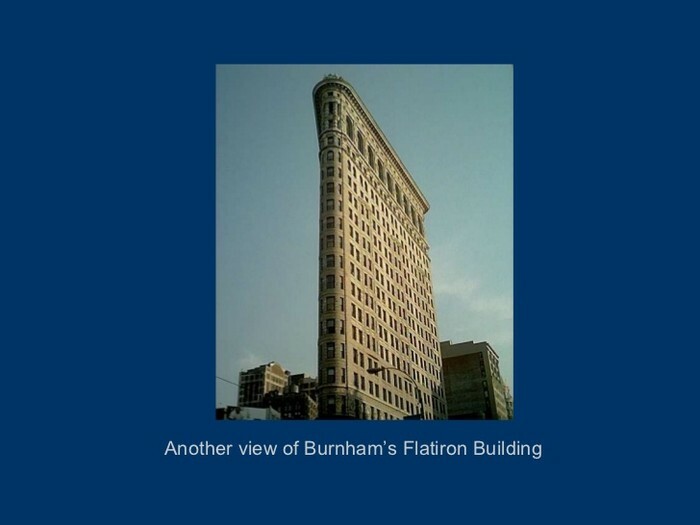 This is an image of Burnham's Flatiron Building. Orville and Wilbur making a successful attempt on flying an airplane.